help you understand the language around personalizing learning. 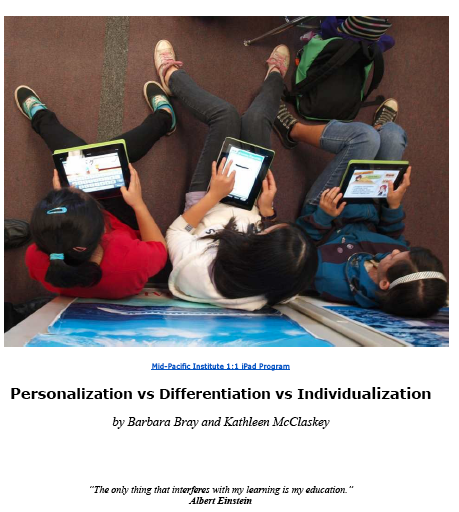 provide background knowledge of the differences of Personalization, Differentiation and Individualization. understand Universal Design for Learning as the foundation to create Personalized Learning Environments. 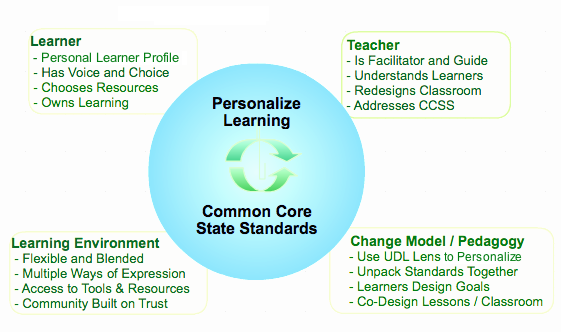 realize that there are three stages of Personalized Learning Environments. 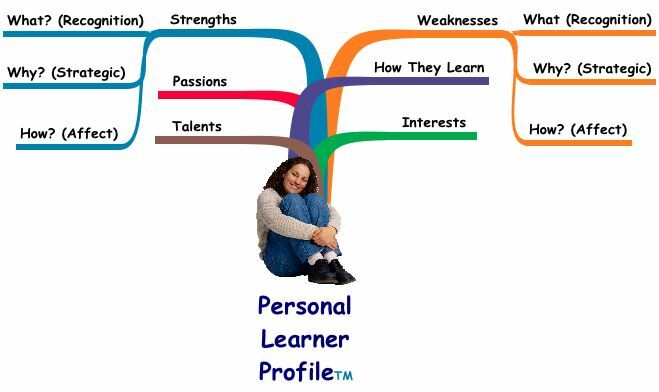 design Personal Learner ProfilesTM and Personal Learning BackpacksTM. 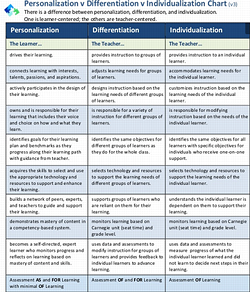 guide change with the Stages of Concern about Personalized Learning. 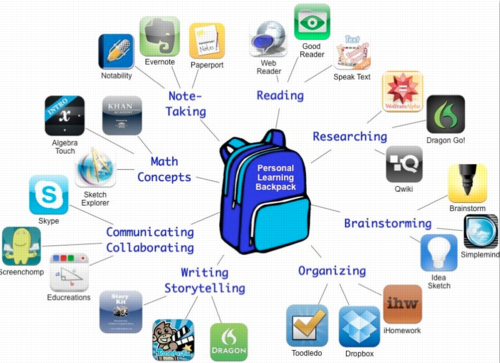 have the research and resources to support your journey to personalize learning. 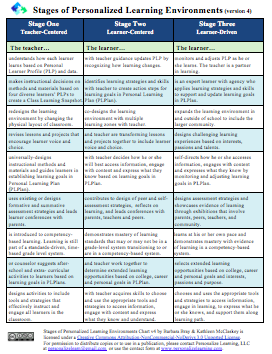 This is version 3 of the PDI chart with revisions and a facelift based on feedback from educators around the world. 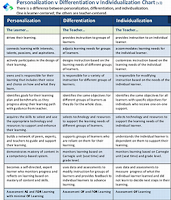 We use this chart as a tool for your stakeholders to discuss the differences between these terms and to provide a clearer picture about the terms as they develop a shared vision to personalize learning. We use the stages to define what teacher-centered, learner-centered and learner-driven environments look like. To move from traditional teaching to stage one is overwhelming. We created the stages to provide schools and organizations an overview of what each component of a stage can be. Change is not easy. 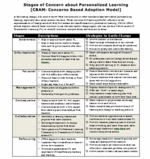 If you are planning to transform learning to a personalized learning environment, this adapted chart will help you define the stages of concern when you go through the change process. We added descriptions for each stage along with strategies to guide change. Note: When you sign up and download our charts or reports, you will automatically be subscribed to our newsletter. Using Universal Design for Learning (UDL), both the teacher and the learner understand how the learner learns best. The result is a Personal Learner ProfileTM that serves as a guide in selecting appropriate tools and resources they need to support their learning. 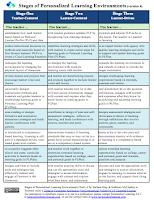 When a learner understands how they learn best through the UDL lens, they are able to make appropriate choices in selecting the tools and resources that support their learning. Universal Design for Learning is the Lens that guides the design of Personalized Learning Environments. We created this diagram to provide you a picture of the roles of the Learner, Teacher, Learning Environment, and Change Model. Personal Learner Profile, Personal Learning Backpack and Diagrams by Barbara Bray and Kathleen McClaskey are licensed under a Creative Commons Attribution-NonCommercial-NoDerivs 3.0 Unported License.